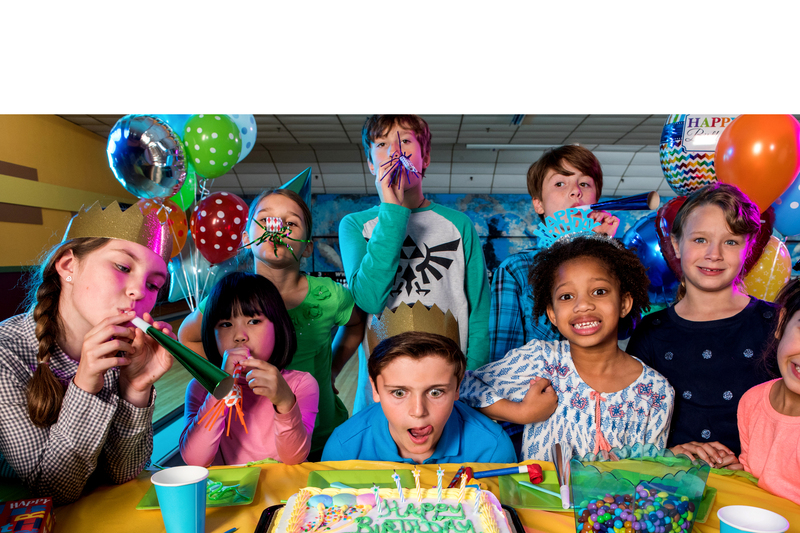 Have a birthday bowling party at Colonial lanes. It's a fantastic way to celebrate for kids and adults. With assistance from our party host or hostess, you have the time to enjoy the party from start to finish. Our family-friendly facility can accommodate all kinds of groups, big and small. Colonial Lanes is the perfect venue for your group bowling events. We have a kids game room and a snack bar to meet your group's needs. We offer packages for the following: Businesses,Church Groups, Field Trips, School Groups, Scout Groups, Special Needs Groups, Summer Camps. Both of our packages below require a two lane minimum. Tax and gratuity are not included in the package prices. A nonrefundable deposit of $20.00 per lane (cash or credit card only) is required to book a package. Please call us at (504) 737-2400 to book or to discuss putting together a different package for your group. **Please Note: With the exception of cake and ice cream, no outside foods or beverages are permitted into the building. Tennis shoes are recommended for children. Bumpers can be put up for children 7 and under. On a first-come-first-served basis, one dragon ramp per party is available for children 7 and under. Need more food? Our snack bar has you covered. View our catering menu or add some of the extras below to your package. 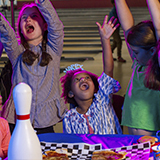 Depending on when you schedule your group bowling event, it can have a regular or a cosmic atmosphere.